Noida administration's dictate asking private firms to stop their Muslim employees from offering Friday prayers at a local park snowballed into a major controversy on Wednesday with BSP terming it "arbitrary" and the BJP asserting that the issue is being politicised on communal lines. The BJP also defended the order saying the primary duty of police of any place is to maintain communal harmony so that there is no law and order issue. The Station House Officer (SHO) of Noida's Sector 58 Police Station Pankaj Rai had earlier this month sent notices to 23 private firms asking them to stop their Muslim employees from offering Friday prayers at a local park citing a 2009 Supreme Court order which prohibits religious gatherings at public places. The Noida administration also on Tuesday said that "unauthorised" religious gatherings will not be allowed at public places. 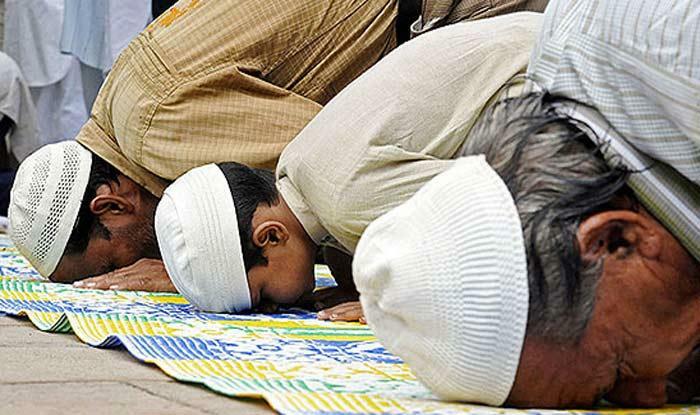 "The order regarding prior approval for offering Friday namaz at public parks and warning of strict action on firms whose employees are found flouting is improper and arbitrary," the Bahujan Samaj Party (BSP) chief Mayawati said in a release. "If the Yogi Adityanath government in the state has any such policy of banning religious activities at public places, why is it not being implemented on people belonging to all religions and in all the districts of the state without any discrimination," she added. The former Uttar Pradesh chief minister claimed that prayers were being offered in the park since 2013 and questioned the logic behind banning them ahead of the 2019 Lok Sabha elections. "It is most natural that questions will be raised on the BJP government's policy and intentions as elections approach," she said. "This also strengthens the doubt that the BJP regime wants to divert attention from its failures and shortcomings by creating such religious controversies," she added. It only highlights the frustration of the Bharatiya Janata Party (BJP) leaders following their defeat in the recent Assembly elections, she said. BJP leader Giriraj Singh said, "Jo kanoon aade aa jaye, use dharam se jod dete hai (whenever law becomes a hurdle, it is linked to a religion). Is it necessary to encroach a park to offer namaz? One can do so in their houses or in a mosque..." Another BJP leader Anila Singh said the primary duty of police force of any place is to maintain communal harmony so that no law and order situation arises there. "If we talk about this issue, some 10-20 people started offering 'namaz' and then the number increased to 900-1000. When 1000 people at a particular time get together in that area, it becomes little problematic for others. "Secondly, because elections are round the corner, there are certain forces -- they may be in the form of political parties -- that do not want communal harmony in the state. Today there are muslims who are going and offering namaz, tomorrow hindus may gather and say we do 'kirtan' there. Imagine the situation which will arise. We should not politicize the issue on communal lines," she said. Citing a Supreme Court order of 2009, Noida officials had said there is a clear ban on unauthorised use of public places for religious activities by all religions. Officials said a Hindu religious event scheduled to be held on a government land in Greater Noida was stopped Wednesday after authorities found it lacked requisite permission. The nine-day Bhagwat Katha was to begin on Wednesday in Greater Noida's residential Sector 37, the added. Officials of the Greater Noida Industrial Development Authority, which owns the land plot where the event was to take place, removed tents, stage and loudspeaker this morning from the land plot, leading to a protest by its organisers. AIMIM Chief Asaduddin Owaisi also hit out at the Uttar Pradesh government and said it was "showering petals on Kanwariyas" (devotees of Lord Shiva) but was issuing notice to Muslims who want to offer prayers once a week saying that would mean disrupting peace and harmony. "This is telling Muslims: Aap kuch bhi karlo, galti to aapki hi hogi (No matter what you do, you will be in the wrong). Also, by law, how does one hold an MNC liable for what their employees do in individual capacity?" the Hyderabad MP questioned. Former UP chief minister Akhilesh Yadav also slammed the order, saying the government and the administration were working like the BJP workers. "They will not be able to tell about their achievements in the elections, so at the end this is what they will do," he added. Samajwadi Party spokesperson Juhie Singh asked whether a district administration can issue orders to companies asking them to do a religious profiling of their employees and whether these firms can be held liable for the place and time of their prayers. Condemning the order, JD(U) leader K C Tyagi said, "We are astonished about this notice of the Noida administration and the police. This type of action taken by the administration is the first of its kind in independent India. We condemn it."